« It was on my doorstep all along! 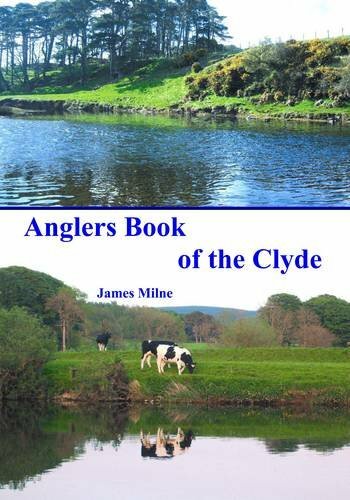 Anglers Book of the Clyde? It is of course out of stock on Amazon already so am sure it will go the way of every other book on the mighty Clyde – totally disappear and become hideously expensive. Seeing as how there is no info on Amazon about what the book actually is I should tell you I believe it is a fly tying book – it details flies for the Clyde and entomology aspects of the river. 9 comments to Anglers Book of the Clyde? How many volumes do you think the Kelvin book would run to…. A few – dirty ones! I have only been fishing for a few years and after several failed attempts to tye my own flies. I was really struggling with the methods and materials used to tye flies but after i got reading this fascinating book i feel i have been catapulted 10 years in ahead of my time and am i now able to tye flies adequate and to a very high standard. So much so that I took my very 1st fish on self made Blue Hen Spider. This book is bursting with vital information for example it tells you which flies to use i.e. dry, wet or night. and what condition best suits. The Book always has lots of very funny stories from the author as well as how to dye materials etc. This book in my view has been executed to perfection and it is over 250 pages long has over 400 dressings with a depth of knowledge vital to any Fly Fisherman Young or Old, Experience or Inexperience. At £25 this book is a absolute steal. Alistair, i think you should maybe purchase the book and have a wee look yourself, its an excellent book. Every time i look at this forum your slating it. Yeah nobody has heard of the author or the book but as i said previously its and excellent book. I purchased mine at the ArranView Fishery. Buy book and then review it. Hang on a minute – who said I was slating it? Quite the opposite – I am telling folk there is a book out and where to buy it – also because of the post one person has bought it! The comment about not knowing who wrote it is firmly tongue in cheek – I also am not a fan of evil cows by the Clyde …long story! Evil Cows? I owe an apology. Am sorry for that previous comment. It sounded like you werent giving the book a chance. I picked you up wrong so am sorry. No problem Ross – sometimes I forget new readers do not know what came before! Do you know the chap that wrote it? I dont know him that well, he sometimes fishes down at Arran View Fishery were me and my father in law to be, fish( who is the chap you left the review above Ian Creamer). The author is a nice chap he was even nice enough to sign mine and Ians book. Have you fished Arran View Fishery?